Fear is one of the biggest obstacles that get in the way of us reaching the goals we hope or would like to achieve in our life. However it is not fear that is bad, but what we fear and how we keep listening to the fear mongers in our head – or are they on our shoulder? – that hold us back from accomplishing goals in our life. However, even those voices in our head that we hear and dissuade us from taking action are not all bad. They started off as warning signals, as a way of keeping us safe, even helping us to survive. After listening to these thoughts for long enough though, they become encoded in our brain so much that our thinking gets hijacked so that we stop thinking about whether they are true or not, we just feel, think and act on their messages. All of us have them – I think I may have a whole busload of them telling me that I am not enough in so many ways. Have you had that happen to you? If we are going to live a fulfilled, balanced life we need to be able to stop the gremlins, fear mongering, saboteurs that are telling us that we are not good enough, smart enough, safe enough or a whole lot of other things that they like to use to hold us back from living a life full of enthusiasm, joy, and love – a life that we design for ourselves. What does your gremlin like to say? Do you have the Inner Critic, the you have to be perfect, the what if they don’t like me, the guilt tripper or the danger-danger! voice in your head, shoulder, behind you or wherever it is. When does it show up? What does it look like? What would you like to name it? What gifts and challenges does “it” bring? What would you like to say to this gremlin and when will you say it? What are you willing to commit to that will help you to tame this monster? If your goal is to live a fulfilled and balanced life, we no longer need these gremlins around, hijacking our dreams. You can do with them whatever you would like to do, befriend them or get rid of them. Would you like the help of a coach? I can help you identify what is holding you back from living the full balanced life you want to live. While I have worked with parents and children for over 20 years I am now taking a course for accreditation with the International Coaches Federation (ICF) at Anne Arundel Community College and part of the process is to account for 100 hours of coaching, both paid and unpaid. I’m still on the unpaid part. I would love to coach you. Learn more here. 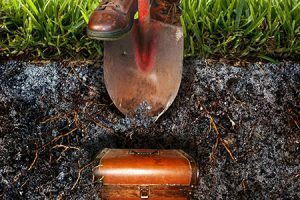 Dig for this treasure – find a fulfilling life! We have often talked about the desire that parents have for their children to grow up to be safe, healthy, successful and happy. In our process of doing everything we can to make that possible for our children, there are times that we forget or put on the side our own desire to feel fulfillment and balance in our life as parents. We are people too! And as individuals sometimes we make choices that are not in line with who we are and what we value, just to get things done. Every choice we make has an impact on our lives and that of our children. It takes courage and commitment to make choices so that we feel fulfilled and balanced. So many things come up that create barriers, pressuring us to make quick decisions without having the time to think about how it might connect, contribute to or upset the balance of life. If there is one thing I have learned about a balanced, fulfilling life, one that is full of meaning, purpose, and satisfaction, it is that it is not about things or even accomplishments. We cannot fill the gap in satisfaction with a better job, a bigger or smaller car, a special vacation. Living a balanced fulfilling life is available every day of our lives, just not by filling our life with things. Nor is it just about feeling great all the time. Some of our most fulfilling moments are when challenges have been faced and we have struggled and worked through them, coming out stronger. You may have been there and felt a sense of inner peace for living what you valued. Fulfillment in life is about being whole, complete. It comes when our actions and purpose, mission, vision are aligned. 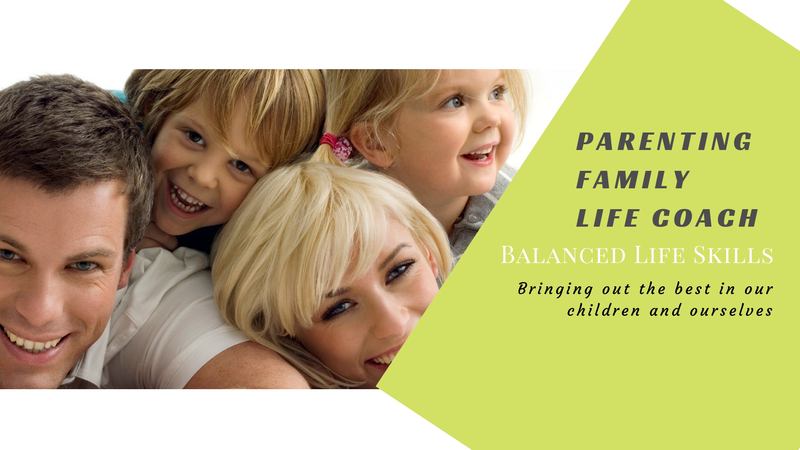 Connecting our vision for ourselves and family with actions that use our talents and gifts – all aligned with our values, living our highest virtues, making choices and raising our family so that our children learn to make choices also based on being their best selves. What would it take to be fulfilled? What are your top three values that guide your choices? Begin the process of creating a balanced and fulfilled life. Take your time and make a list of what you value. Rank them and choose your top three. Would you like the help of a coach? I can help you find the treasure of clarifying the values that will guide you to a fulfilling life. While I have worked with parents and children for over 20 years I am now taking a course for accreditation with the International Coaches Federation (ICF) at Anne Arundel Community College and part of the process is to account for 100 hours of coaching, both paid and unpaid. I’m still on the unpaid part. Last evening I had the opportunity to see the documentary “Angst, Anxiety is treatable – It is okay to say” at Broadneck High School. First congratulations to Broadneck and the feeder schools for their effort to bring this documentary to both the students, parents, and community. This film “explores anxiety, its causes, effects, and what we can do about it.” The film was very well done and the panel that followed was excellent also in answering questions from the audience. If you were not able to make it to the showing, I am hopeful that other schools or faith groups will follow the lead of Broadneck. The issue of anxiety is pervasive not just among students, but also among adults including parents and teachers. The fears that plague many individuals range from the fear of inadequacy, not being good enough, rejection, abandonment, and of being judged. Anxiety may become apparent in many ways starting with a general anxiousness that shows up with worrying excessively about many things and having physical reactions to that worry. Obsessive-compulsive disorder, phobias, social phobia, panic attacks or posttraumatic stress disorder are all different levels and types of anxiety disorders. 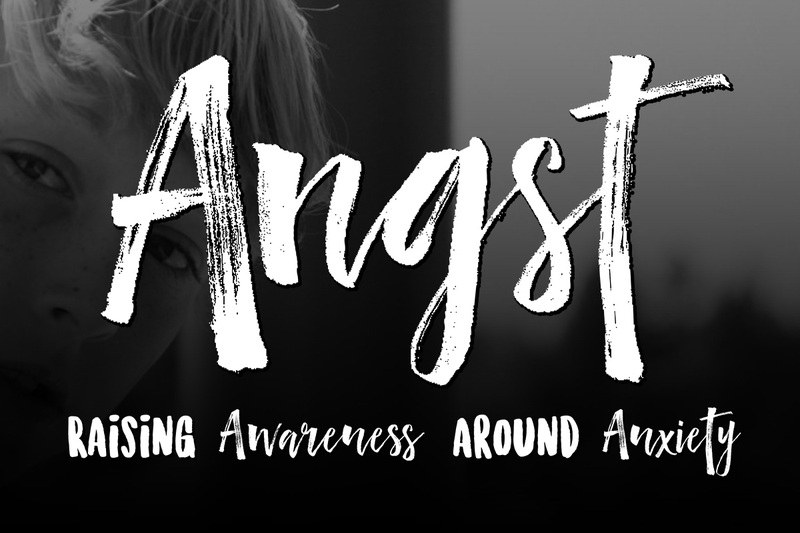 While it can be hard to understand where anxiety comes from, especially when we see it in very young persons the list is long and there is no one reason. It may include trauma, stress, personality, other mental health conditions, or having blood relatives who have an anxiety disorder. The specific causes are not really known, though some 1 out of 8 individuals are affected and it is commonly thought that the cause may be some combination of factors. This really struck me because when you are working through the anxiety you certainly do not feel that, unless you have the continued support of those around you. So what can we do as non-professionals, as parents and caretakers, who just want to support our loved ones, young or older? Here is what I took from the film and the panel. The person with the disorder already feels like nothing is right or going right for them. We need to focus on what is good about the person, Listen with empathy and compassion. We are not there to save them or rescue them we are simply there to support them – “we already have the tools inside of us to get through things”. Ask questions that are open-ended, accept each other for who we are and see the what is right about each other. As I think about that, it sounds like good advice for all of us – with an anxiety disorder or not. I highly recommend this documentary for everyone to see. How does empathy effect integrity to values? Being true to ourselves, authentic and living to our highest values can be challenging, especially when the events of the day or the choices made by others hurt us. When there is an event that takes place that doesn’t fit into our plans or idea of how it was going to go how do we remain faithful to the virtues and values we hold at the highest level? We may want to ask ourselves what virtue do we need at this time to help us remain in integrity to ourselves? What could I consider to help me be understanding? What would help me be more likely to show integrity? One virtue that comes to my mind that is helpful in many situations to show integrity to our highest values is empathy. When we can think first of the other person and put ourselves in their shoes, walk on their path, see circumstances through their eyes, the choice we make in our response is more likely to be guided by our highest self. For students in school, if you were to see someone cheating in school or a competition, how would you react? If we use empathy the question would be, “If I do not speak up what might happen?” If you witnessed a person being picked on, bullied or an aggressor going after someone unable to defend themselves, empathy would have us ask ourselves if I do not act with integrity and speak up for what is important to me, what will the results be. At the same time if we saw a person left out of an activity or group empathy for the person would move us not to ignore the situation, but rather step in and do what is right. We act with integrity when we speak up, help others and give of ourselves motivated by our empathy. Of course, this works for adults also. When we take a moment to consider the other person’s point of view, how they may feel or their circumstances, it is more likely that we will respond to the event or situation with integrity to our values. Taking that stance can be a challenge, mainly if an incident affects our family or us that we would prefer not happen. Maintaining our peacefulness and that of those around us occurs when we live by the virtues kindness, consideration, and understanding. Empathy is a stepping stone to staying true to ourselves and practicing integrity to who we are and want to be.